Too often, couples enter remarriage unaware of potential problems and unprepared for the challenges stepfamily life will bring. The Heart of Remarriage takes a unique approach to success in remarriage by going straight to the heart, helping couples heal from the inside out rather than offering surface suggestions that may change circumstances but not the lives of couples and their families. Drs. 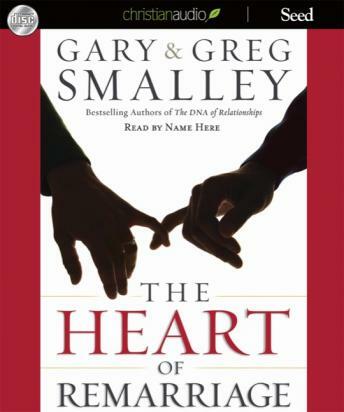 Gary and Greg Smalley partner with remarried couple Dan and Marci Cretsinger to offer this marriage-changing idea: No matter what circumstances or challenges a remarried couple and their stepfamily face, the solution starts in their hearts. Remarried couples will learn how to examine their own hearts and heal them from the hurts of the past, so that they can be filled with God’s love and let that love overflow to their family members. The Heart of Remarriage teaches readers how to create emotional security for every family member, and offers practical ideas for connecting at the heart level with their spouse, children and stepchildren. Couples will be encouraged to keep their hearts open and challenged to leave a family legacy of love.